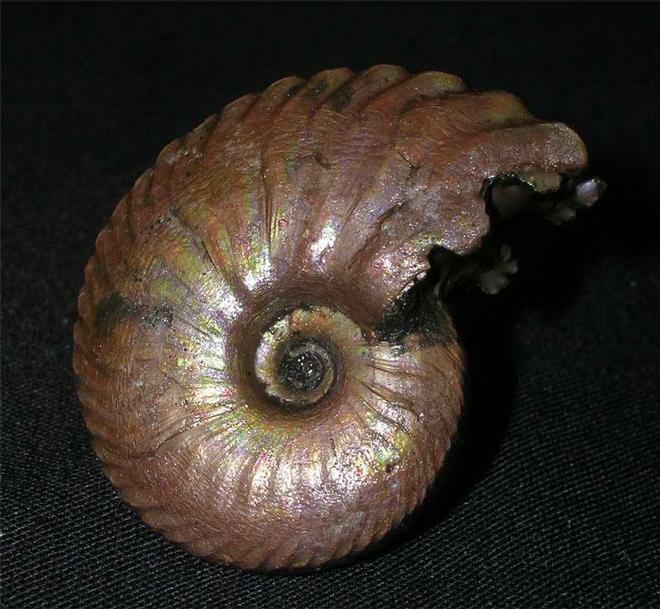 This is an exceptionally well preserved pyritic ammonite which is totally matrix free. 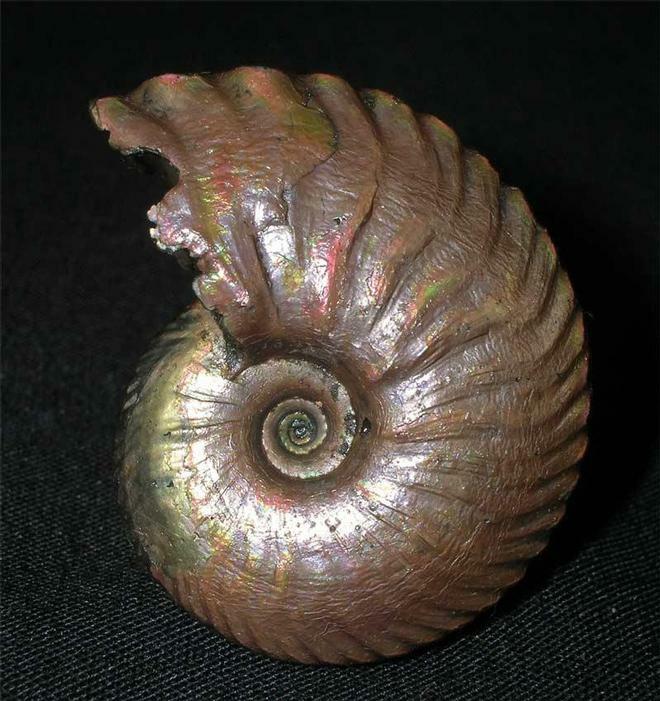 The shell on the ammonite, when held at different angles to the light, has beautiful irridescent colours showing. 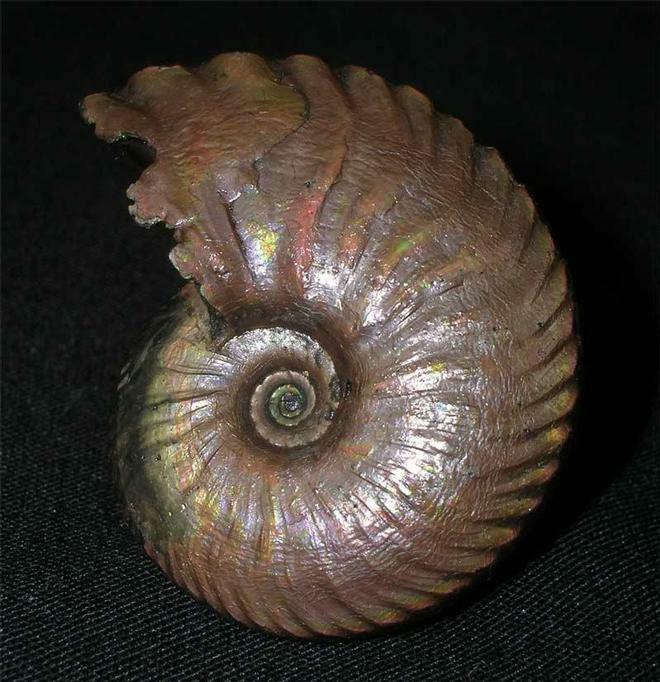 The colours are deep red, green and the occasional yellow. 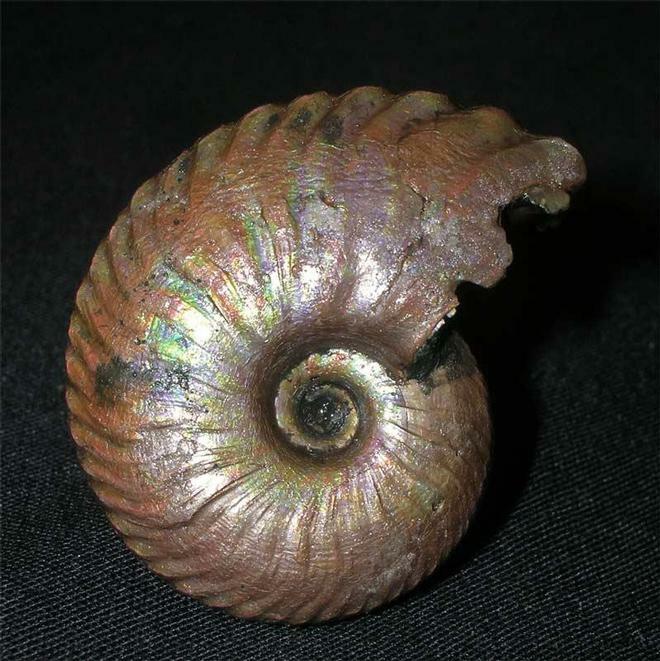 The ammonite has also got its "cat's paws" preserved which only adds to the quality of this superb ammonite from this well known and highly collected site.